This gives a little bit of an idea of what it would look like. Here it is with out the Logo. Better? Ever thought about doing this? Any lessons learned? Well .. I did make both the saw and panel gauge and photo shopped the logo on top. I haven't settled on putting my "slogan" on it, but it's not hard for me to imagine it with out it. And w/o it might look better .. hmmmm. Lol… Same here. 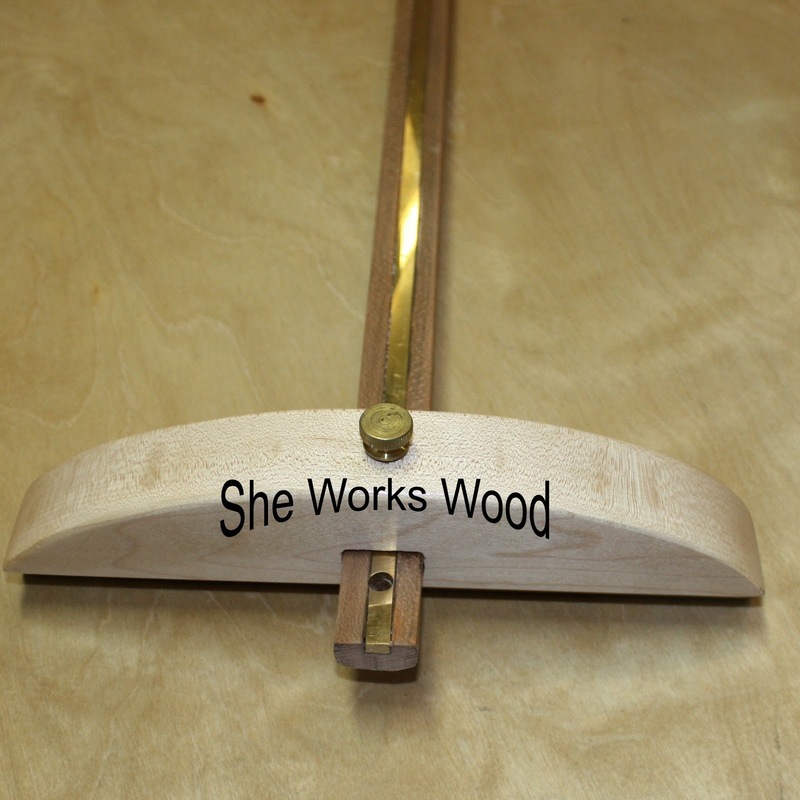 "Good luck trying to stamp 'She Works Wood' onto the front edge of the panel gauge like that!" 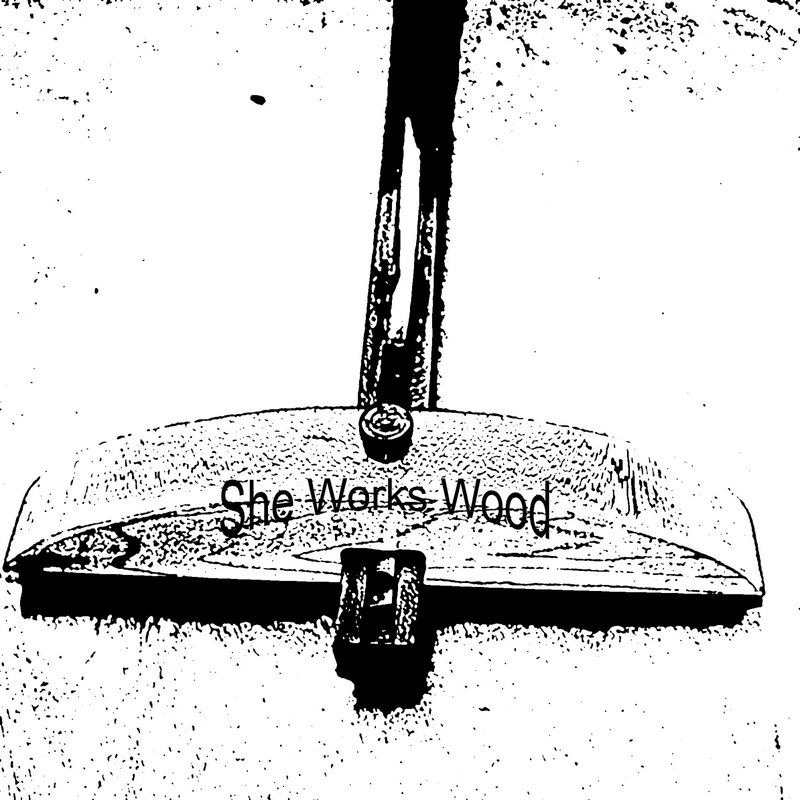 was something along the lines of what I was thinking…Such a detailed image AND the text might get make the stamp get a bit muddled… I'd probably go with one or the other, myself.It is something I've been pondering for a while (since Chris talked about his first "C.SCHWARZ" stamp from the same company). Ohhhh! Now I see the misunderstanding. LOL! I wanted the panel gauge or the saw to be the stamp instead of .. say my name or blog handle. I will clarify! @Wilbur .. love that idea too. I'm going to play around with it and see if I can draw something like that. If it's presentable, I'll post it.